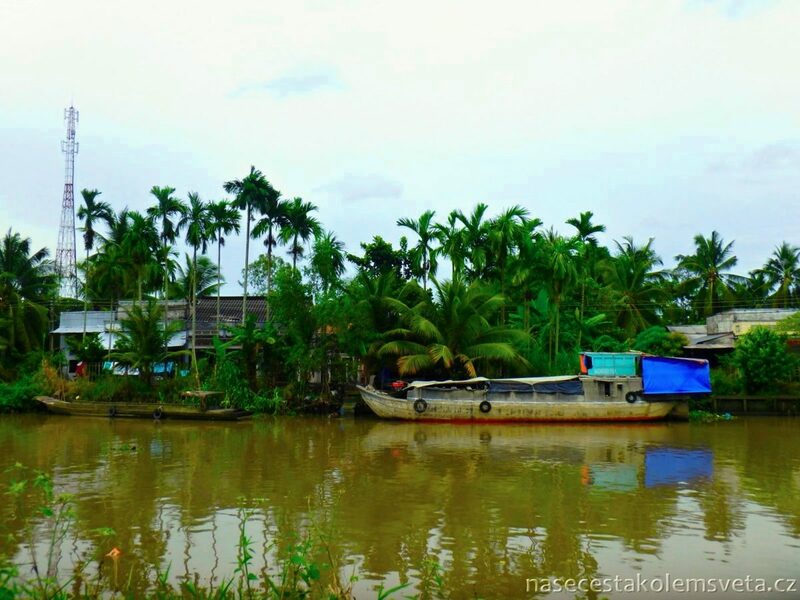 When we were asking what to in Vietnam, Mekong Delta was a clear choice for us. And we are really happy we have visited this part of the world because we appeared in a beautiful landscape full of calmness, amazing people, harvest and spectacular views along the Mekong river. 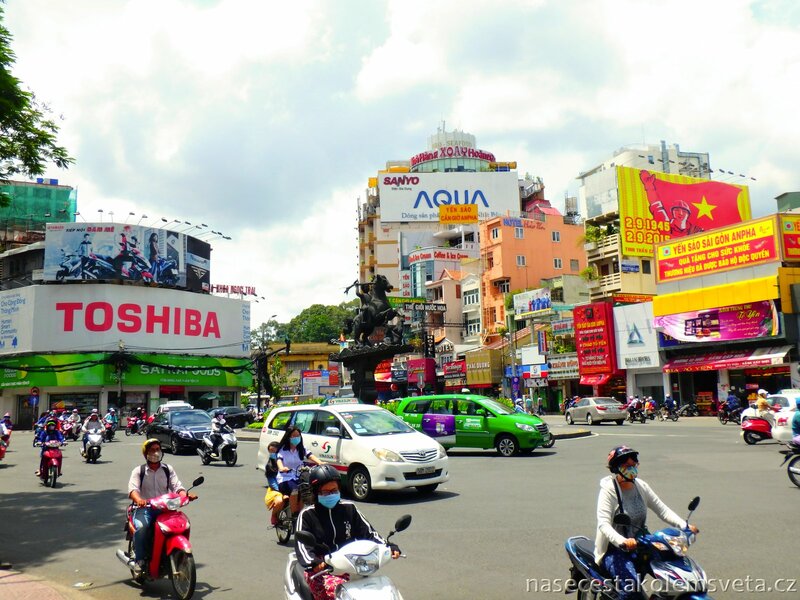 From Saigon we took a bus to Can Tho town which became our travel base. The journey took nearly 4 hours and it cost us 120.000 VND/person (cca 5,30 USD). Bus station in Can Tho is quite far from downtown and all accommodation facilities therefore we went by taxi. How we once mentioned it is not really expensive concern but it it necessary to walk around them and read price list on their front door then choose one and go. Just make sure the driver turns on the taxameter, usually you need to tell them a few time because they do not want to do it voluntarily. It is pretty easy to find cheap accommodation in Can Tho especially in local guesthouses called Nhà nghỉ. Mekong River is about 4350 km long (cca 2703 miles) and it flows through all countries of Indochina. It springs in Tibet high in the mountains. It lines the border between Myanmar (Burma) and Laos. It creates also a big border between Laos and Thailand. Mekong river does not lose its relevance even in Cambodia from where it runs to Vietnam where it flows to South China Sea. Thanks to its long way and volume of its flow rate it is the longest river in Southeast Asia. And from the harvest standpoint it is one of the most important watercourses in general. 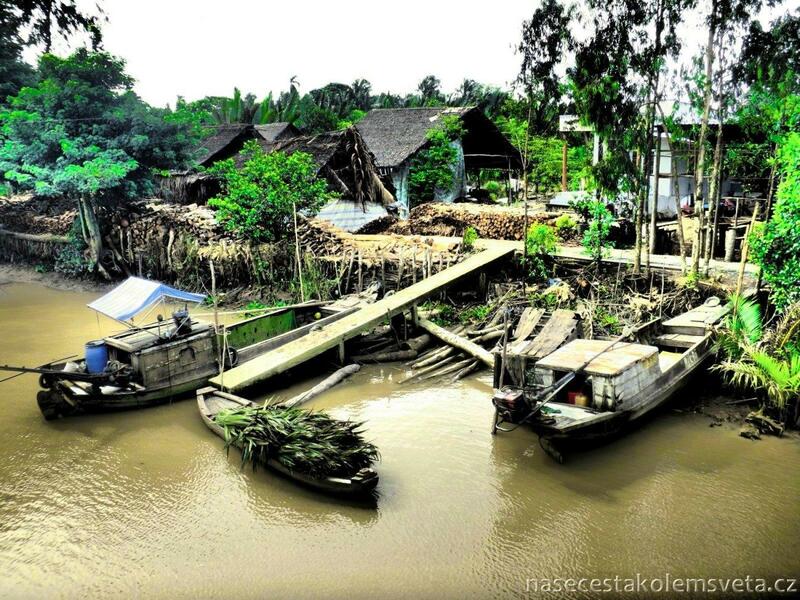 Generally Mekong Delta is very important for Vietnam because it is the most fertile are in the whole country. It produces so much rice that it is enough for the entire country and not only. 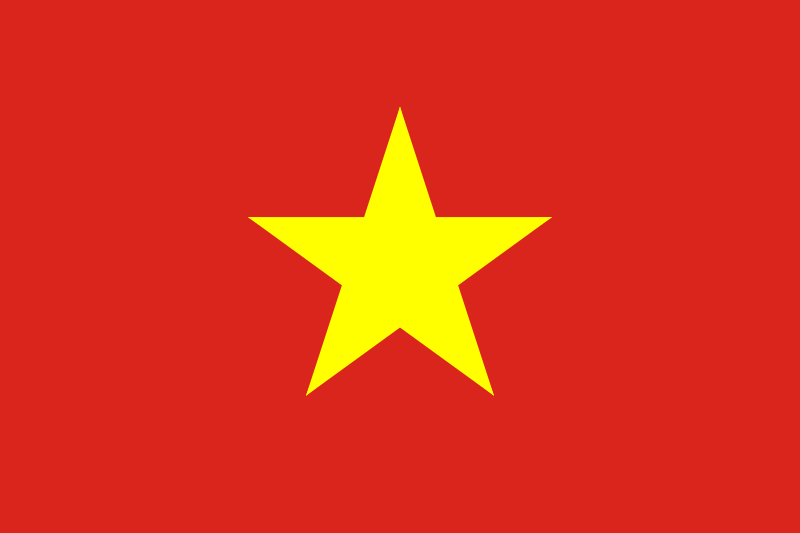 Thanks to the fertility of this area Vietnam ranks among the largest exporters of this commodity. But it is not only rice they grow in Mekong Delta. There are many coconut trees, fruit orchards, vegetable fields or sugar cane groves. All of these crops are very easy to buy here either along the way or at traditional floating markets. Mekong river is very indented and mainly in the south Vietnam it ramifies a lot. And this is how it was given its name. Mekong river is called Sông Cửu Long – The river of nine dragons in Vietnam. Some of the channels are today hardly passable and were substituted by modern and faster roads. 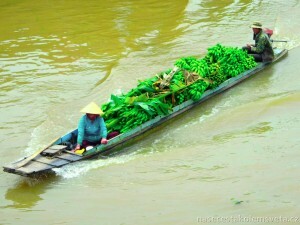 Yet the tradition still stays in the Mekong Delta and there can be found several floating markets. All of them can be visited individually! So it is not necessary to pay non-sensual money to somebody else. In the vicinity of 22 km (cca 13,67 miles) from Can Tho there are two markets of this specialization. 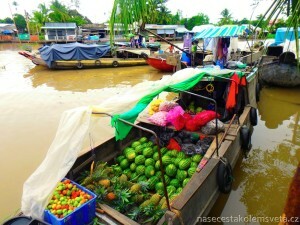 If you prefer ostentatious and commercial places then Cái Răng floating market is definitely a place you should visit. For a fee you may hire a boat and flow thought the market on the river, buy fresh fruit and vegetables. We recommend everyone to drive both sides of the river there on the motorbike because there are spectacular views between the houses. Locals usually offer you a boat ride themselves and most likely for better price than are the official ones in the port where we found them very high. More interesting experience came into our way a bit more south from the commercial attractions. It is a market that is quite difficult to find because local travel agents make big money on taking tourists there. Phong Điền floating market is still very traditional rural affair. It is necessary to arrive here early in the morning. They start at 6 and around 8-9 am marketers come back to their shelters in the surrounding area. Unfortunately we arrived here too late so we did not see this market but locals showed us the place where it is held and explained us these important details. We truly think that this place could have a real allure. And you and ride there on a motorbike. For us the best experience was simply riding everywhere around. We got lost lost, met adults and kids smiling and saying hello. 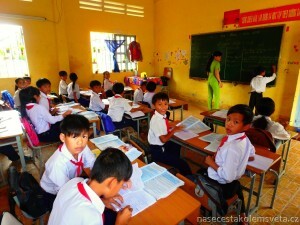 We were so lucky we were able to visit local school. We took pictures of women working in the fields. We admired coconut trees and rice fields. We observed boats carrying fresh bananas and other goods. So if you wish to enjoy Mekong Delta at its bests go wherever you want, there is always a way back and you are gonna see what no one else can show you. We enjoyed there one of the best day on our trip around the world, tasted delicious food and drinks. There was nothing to prevent us from leaving Vietnam and look forward to our further adventure in our next destination Cambodia. The first stop in this country will be its capital Phnom Penh. What a wonderful site you two have!! I’m planning on doing the same trip in Vietnam and Cambodia. I have 5 weeks for this. Do you think I can do this in 5 weeks or should skip Cambodia? Have a save a wonderful trip. We wish you safe journey as well and do not forget write us how did you like it!